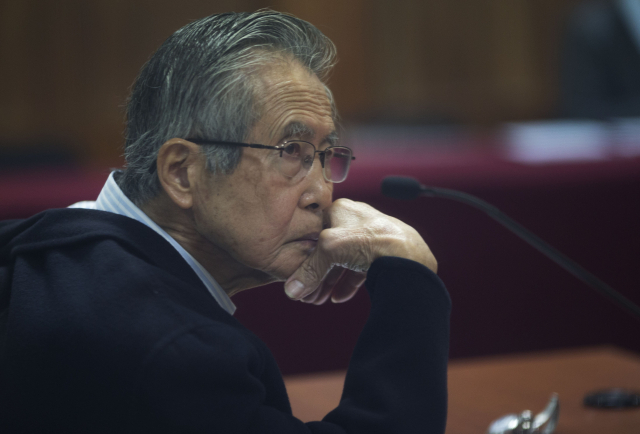 LIMA, Peru (AP) — A court in Peru has determined that former Peruvian strongman Alberto Fujimori can be tried in connection with a 1992 massacre despite his recent pardon from a 25-year jail sentence. The ruling Monday paves the way for Fujimori to stand trial again for crimes committed during his decade-long rule. President Pedro Pablo Kuczynski pardoned Fujimori in December from a lengthy prison sentence for his role in the deaths of 25 Peruvians and sanctioning the use of military death squads. The pardon sparked protests and drew condemnation from human rights groups. The new case concerns a 1992 massacre in which six peasants were kidnapped, tortured and killed by a paramilitary group. Members of the group said they received orders from superiors. Fujimori was at the top of that chain of command.